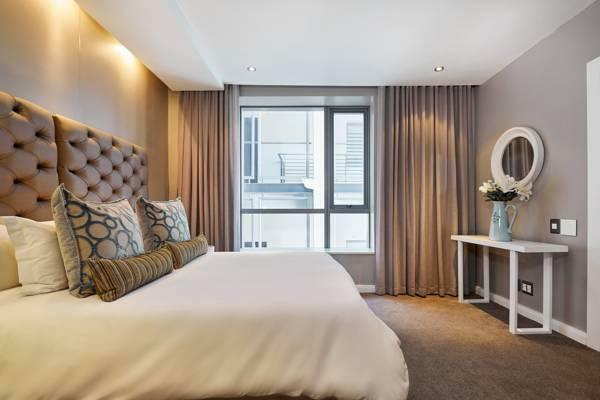 Ada soalan mengenai Mandela Rhodes Place Suite Hotel? 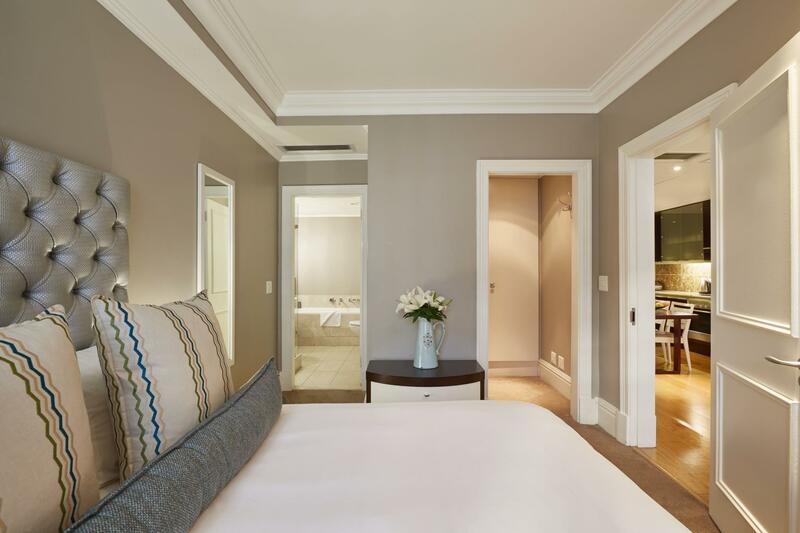 Bagi para pelawat yang ingin menikmati sepenuhnya pengalaman di Cape Town, Mandela Rhodes Place Hotel & Spa merupakan pilihan tepat. Terletak hanya 1.0 Km dari pusat bandar, para tetamu berada di lokasi sesuai untuk menikmati tarikan dan aktiviti di sekitar bandar. Bagi anda yang ingin pergi agak jauh, Galeri AVA, Galeri Seni Nasional, Katedral St George merupakan beberapa daya tarikan untuk pelawat. Mandela Rhodes Place Hotel & Spa menawarkan perkhidmatan yang sempurna dan semua kemudahan penting untuk menceriakan pelancong. Hotel ini menawarkan pelbagai kemudahan di lokasi untuk memuaskan hati tetamu termasuk yang arif. Semua penginapan bagi tetamu menawarkan kemudahan yang difikirkan dengan teliti bagi memastikan rasa selesa yang sukar ditandingi. Sepanjang hari anda boleh menikmati suasana yang santai dengan pusat kecergasan, padang golf (dalam jarak 3 km) , kolam renang terbuka, spa, rumah urut. 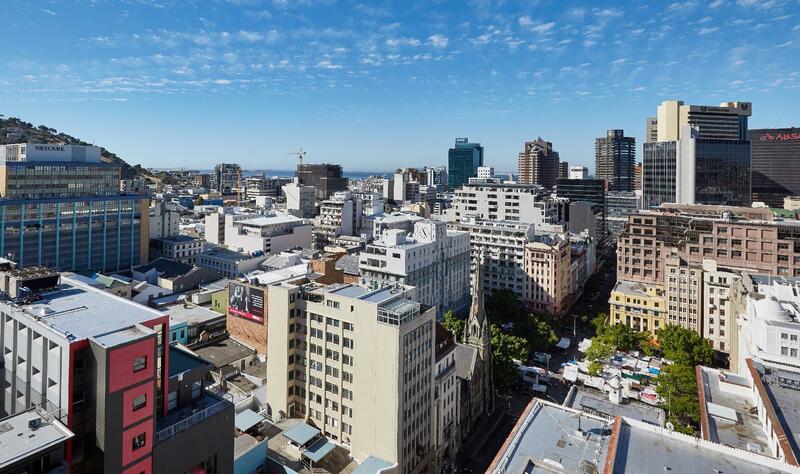 Apa juga tujuan lawatan, Mandela Rhodes Place Hotel & Spa merupakan pilihan yang terbaik bagi penginapan anda di Cape Town. Telefon pintar disediakan di setiap pangsapuri dengan data dan panggilan percuma. Wi-Fi terhad sebanyak 200MB sehari disediakan. 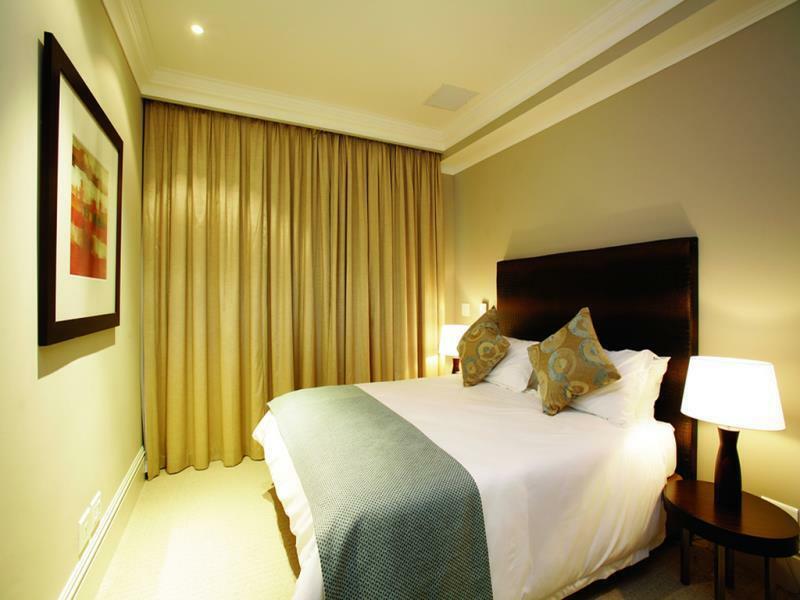 The hotel had large spacious reasonably clean rooms but it was located in Cape Town an awful place so I therefore cannot recommend it. Every time you leave the building you are accosted by filthy beggars who latch onto you and walk beside you down the street, refusing to leave. When you finally reach the end of their patch you are immediately accosted by the next filthy beggar. We ended up having to get ubers everywhere, even just round the corner. If you must go to Cape Town I recommend staying at the V&A waterfront instead. First of all the staff was very friendly. But when we were shown into our suite the gentleman quickly squeezed with his shoe a huge cockroach which tried to leave the room. Room 603 looks nice but the sliding glass door of the bathroom was gone so no privacy when going to the toilet. It was like sleeping next to the toilet. The atrium looks like a prison with its metal structure. Not appealing to consider coming again. Good Day, Terribly sorry to know you are not satisfied with your stay. We will certainly look into all your notes. Great hospitality. Amazing views, huge room, beautiful and clean. Def recommend a stay here. Thank you so much for your feedback, positive comments and recommendation - its highly valued! Good day, We are very saddened to see a review such as yours and apologize that we have not met your expectations.Thank you for your feedback. We easily found the hotel with a parking area, very safe, Easy check-in, the place is clean and spacious. We booked 2 bedroom and it was fantastic! Dear Wendy, Thank you for sharing your experience and sentiments of our amazing Hotel with all of us. Wonderful to hear our service is outstanding and we met your expectations on a number of must haves. We certainly hope to have the pleasure of welcoming you back in the near future. I was very disappointed by my stay. The cleaning staff stole 150 euro and 20 dollars out of my wallet. I do not recommend this hotel. Wonderful apartment. Lovely staff and great location in the centre of Cape Town. I recommend this hotel service apartment. Aussie traveller. Dear Marie Thank you for taking the time to provide us with such lovely feedback. We look forward in welcoming you back in the near future. Kind Regards Reservations. 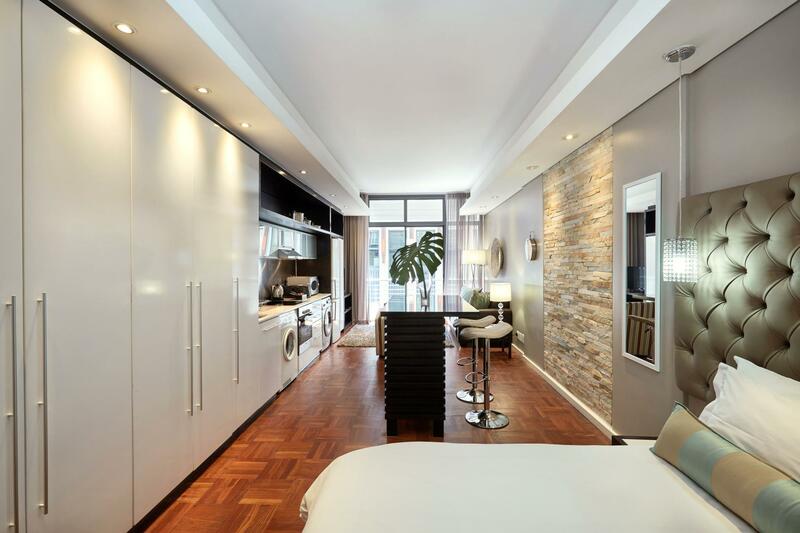 If you are looking to be in town near the tourist places this hotel is ideal. Otherwise, you can find better deals near the ocean. Personnel at the front desk was professional and receptive. However, only the manager was authorized to change a room allocated. Her unavailability to allocate a different room proved problematic as the 4th floor one fronting St Georges Mall was far from ideal. Poor window insulation meant a restful nights sleep was impossible. The noise from the revelers and drunks was disruptive. At this price point, I would expect windows that block outside noise. The coffee shop in the lobby is nice and was very convenient for breakfast. Location is also quite good. Pool closed, Spa closed, pool area/sunbeds closed, pool bar/restaurant closed, gym closed, poor wi-fi, rooms fine, staff good, location fine, parking (payable). OK for a quick overnight visit to Cape Town. Not for part of a holiday or business trip. Rooms are fine but service is disappointing. We needed assistance with luggage and staff were just standing looking at us. I have stayed at the property many times and it has seen better days. Rooms need upgrading as can be seen by dirty work out furniture. The staff were very welcoming and helpful. Location spot on. Wi-Fi terrible. Had to pay additional R75 per day for parking which should be taken from nightly rates instead. Excellent location, only mins walk to Green market Sq , St George Cathedral, slave lodge, national library , parliament etc. If plan to cook, mini kitchen is well equip. Good Location, Clean and Friendly Stuffs. If you can, book platinum rooms, these are located in the tower, and are much more spacious than the superior rooms. Ours had a large lounge/dinning room, and large kitchen, very clean, and tidy. The staff at the check inn desk, are very helpfull, and polite. The lobby area also has a coffee shop, and eatery, where you can have breakfast/lucnch/dinner. But there are heaps of places to eat outside. 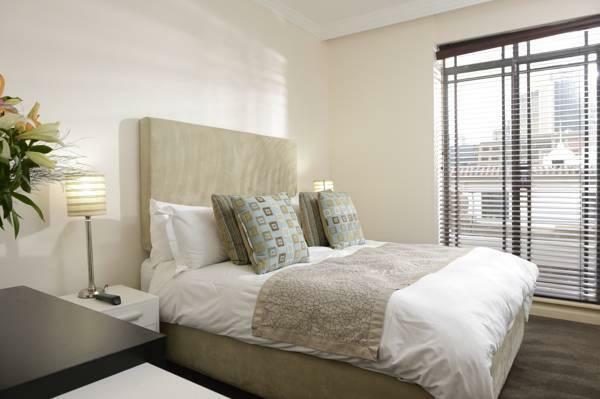 The hotel is centraly located, but it's a long walk to the V & A waterfront area, however, taxis are cheap, and plentifull. Highly recommended. Location is perfect. Rooms are very comfortable & staff is very helpful and friendly.